The Qaddafi family didn’t lack for Western allies. The fact is that almost everyone has dirty hands. Everyone: politicians (even “statesmen”), banks, governments, international organizations, newspapers, universities, scholars—they are now mortified to (have to) admit that they made common cause with Muammar Qaddafi and his favored son Saif. Thursday’s Financial Times carries a half-page article by Michael Peel on some of Qaddafi’s intimates: Tony Blair, the London School of Economics (LSE) and Political Science, the Carlyle Group (America’s most politically wired investment ensemble), the great revolutionary democrat Hugo Chavez, etc. Sir Howard Davies, the director of the LSE, identified by Peel as “a former unpaid adviser to the Libyan Investment Authority,” was quoted as having “shared the students’ revulsion at the recent violence and gross violations of human rights in Libya” and regretting “the association of the school’s name with [Saif Al Islam, the colonel’s son and an LSE alumnus] and the actions of the Libyan regime.” Saif had paid down £300,000 of a £1.5 million pledge to the institution’s North Africa program. Sir Howard is not a very alert person if it is just now that he has recognized how bloody and tyrannical were the circumstances under which the people of Libya have lived for decades. He is a liar caught in a trap of his own making. LSE, which used to turn out African dictators educated in the dogmatics of socialism (it was Pat Moynihan who observed that the undeniable failure of the newly independent African states can be traced to the school’s socialist professors), is now a center of yet another political fashion, and it is Islamism. London is the intellectual capital of the worldview in Europe. 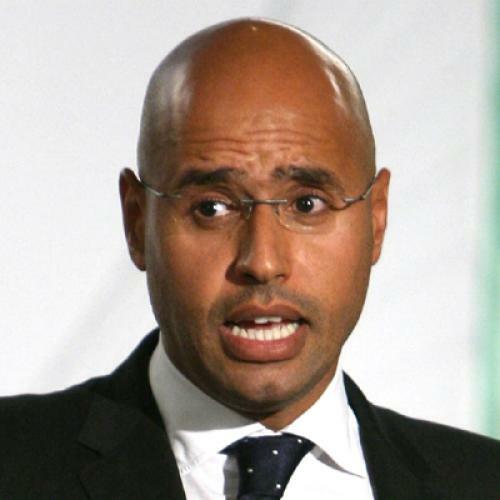 But taking money from the Qaddafis might have been thought of as an almost anti-Islamist act since the clan rules with an unmistakeable hostility to religious authority. Actually, quite like the way Saddam Hussein governed in Iraq—until, that is, he needed Mohammed’s faithful to protect him from the Americans. Overall, the remarkable improvement in U.S.-Libyan relations reminds us that deep political conflicts can be resolved without recourse to preventive war or “regime change.” One hopes that the United States and Libya continue to nurture and build a constructive relationship, and that economic and political reform continues there. (I wouldn’t mind seeing more dramatic political reform—of a different sort—here too.) The United States could use a few more friends in that part of the world. In fact, the history of world revolution suggests that this sort of revolutionary cascade is quite rare, and even when some sort of revolutionary contagion does take place, it happens pretty slowly and is often accompanied by overt foreign invasion. … The velvet revolution in Easter Europe are a partial exception, but mostly because the Soviet Union’s Eastern Europe satellites were all dependent on the threat of Soviet invasion to keep their artificial regimes in power. Once the common keystone of Soviet power was no longer credible, however, all of these dominos could in fact fall down in a row. Smart man, this Walt! But spread, the revolution did, to Egypt even before it went elsewhere, which now makes it almost everywhere in the Arab world. Barely a month later, Walt had to admit in Foreign Policy, the journal that routinely carries his enormous mistakes in fact and in judgement, “What I got wrong about the Arab revolutions and why I’m not losing sleep over it.” But his was not just an evaluative error. It was a basic misunderstanding of Egyptian realities: “I underestimated the degree of internal resentment” in Egypt, which is the basic fact about Egypt, isn’t it? This is like a doctor saying, “I thought it was a common cold. I’m sorry; it turned out to be pneumonia.” The physician, if a person of conscience, however, did lose some sleep over his bungle, as Walt is proud to tell us he did not. Apparently, Arab life is cheap not only to the collapsing regimes but also to this Kennedy School professor. One thing is for sure, and it is that there’s no wisdom in taking his classes. Joseph S. Nye, a Harvard colleague of Walt’s at the K-School (and a sort-of former colleague of mine), earlier this month published an insightful piece in TNR Online weighing the extent to which Twitter, Facebook, blogs, and other Internet forums affected events in Egypt. Nye is an expert on “soft power,” and he argues that “some aspects of the information revolution help the small, but some help the already large and powerful. Size still matters.” He is right on this. Where once he had tried to bully and even overthrow governments to his south, now he is hosting peace talks on Darfur. Where once he sought weapons of mass destruction, now he has abandoned his nuclear program … Qaddafi, in other words, seems to have become interested in soft power—the art of projecting influence through attraction rather than coercion … And the fact that he took so much time to discuss ideas--including soft power—with a visiting professor suggests that he is actively seeking a new strategy. Notice also his rapture about the dictator’s sudden interest in soft power. Of course, these have nothing to do with Nye, or with Saif’s LSE doctoral dissertation which, so to speak, stands alone. Finished in 2007, it is titled “The Role of Civil Society in the Democratization of Global Government Institutions: From ‘Soft Power’ to Collective Decision-Making?” Do you want to read it? Here it is in its entirety, all 429 pages of it. I haven’t read it all. In fact, I’ve read maybe 90-100 pages spread throughout the volume, so not that much, but quite enough to say that this was not written by Saif Qaddafi. And, if it was, I’ll eat my yarmulke. As it happens, I know a scholar of Arab politics and history who was courted by one of Saif’s minions to do what needed to be done. My informant was repelled, and repelled the request, which came with an offer. The thesis is richly inspired by Joe Nye’s work. This I know from the hour and a half I spent with it. This could be an instance of schizophrenia: one life scholarly and portentous; another criminal, mass murder criminal. In this thesis, I present for discussion the Collective Management approach in which the three sectors of society—government, business and civil society—are allocated equal and formal decision-making rights through voting, and that these three sectors work together in a multi-level system of governance at the national, regional and global levels. The three sectors of the tripartite, multi-level system would then share responsibility for three important activities of global governance: 1) setting the criteria of global governance, i.e. the codes and standards of conduct, 2) implementing these standards, and 3) supervising this implementation, which includes the evolution of enforcement mechanisms. This results in what I term the ‘3x3=3’ system of international governance. I would also like to acknowledge the benefit from comments I received on early drafts of the thesis from a number of experts with whom I met and who consented to read portions of the manuscript and provide advice and direction, especially Professor Joseph Nye. Now, parents are not axiomatically responsible for their children, so teachers are certainly not axiomatically responsible for their students. In contrast to the extravagant thanks from student to teacher, Nye admitted to Mother Jones that he’d read only one chapter of the dissertation and “found it intelligent.” What’s very clear is that Nye has not behaved at all intelligently or, for that matter, ethically in his dealings with Libya. But perhaps there is a saving grace: Unlike Walt, Nye strikes me as one who would lose sleep over his rehabilitation labors for Qaddafi and Son, gangsters extraordinaire.